The village of Ledringhem is approximately 21 kilometres south of Dunkirk and 4 kilometres south-west of Wormhoudt. The Church is south-west of the village and the Commonwealth plot can be found in the far right hand corner of the Communal Cemetery. There are over 50, 1939-45 war casualties commemorated in this site. 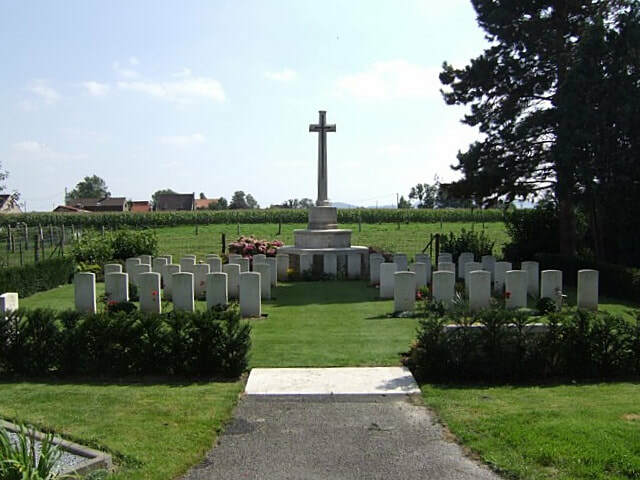 Of these, nearly 10 are unidentified and one soldier, whose grave in the cemetery could not be precisely determined, is commemorated by a special memorial inscribed "Buried near this spot".